I beg all of you, right now! 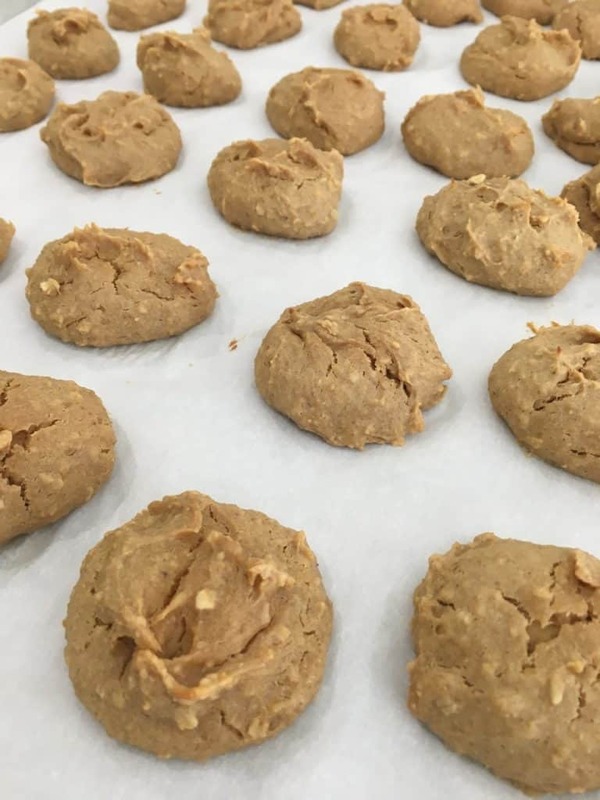 Try these super easy to make and SUPER healthy chickpea cookies! YES! I said chickpea cookies! Your kiddos will have no idea they are loaded with wholesome ingredients. The ripe bananas and hint of maple syrup give these amazing cookies all the sweetness they need. These healthy cookies have no refined sugar, making them a perfectly suitable breakfast item. Your kids will love to eat them, and so will you! I know what you’re thinking….chickpeas?? In cookies?? Really??? These cookies are scrumptious and perfectly healthy. Want cookies for breakfast? No problem! Now you can have your cookies, and eat them too! And with zero guilt attached! So ahead and indulge in a few of these with your morning coffee! 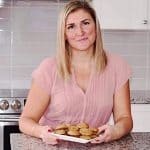 Did I mention how EASY these cookies are to make? Just add ALL of the ingredients to your food processor and process until smooth. My favourite kind of recipe! The prep work practically does itself. Next, you will form your chickpea cookies onto a prepared baking sheet using a metal tablespoon. This recipe makes about 30 cookies, so use a large baking tray. I use a tablespoon and then gently slide the batter off with one finger. 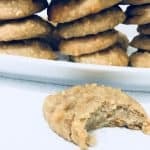 These cookies are truly quick and easy. So if you need dessert or breakfast ideas in a pinch, make this your go to! You won’t be disappointed, and your kids will thank you! I know my kids have no problem eating cookies for breakfast. Well now they can and I feel good about the nutrients and wholesome ingredients they’re consuming! You can definitely make a double batch of these and freeze some for easy breakfasts during a busy work week. I’m personally always making a double batch of these because they just don’t seem to last long! Want to take this recipe to the next level? 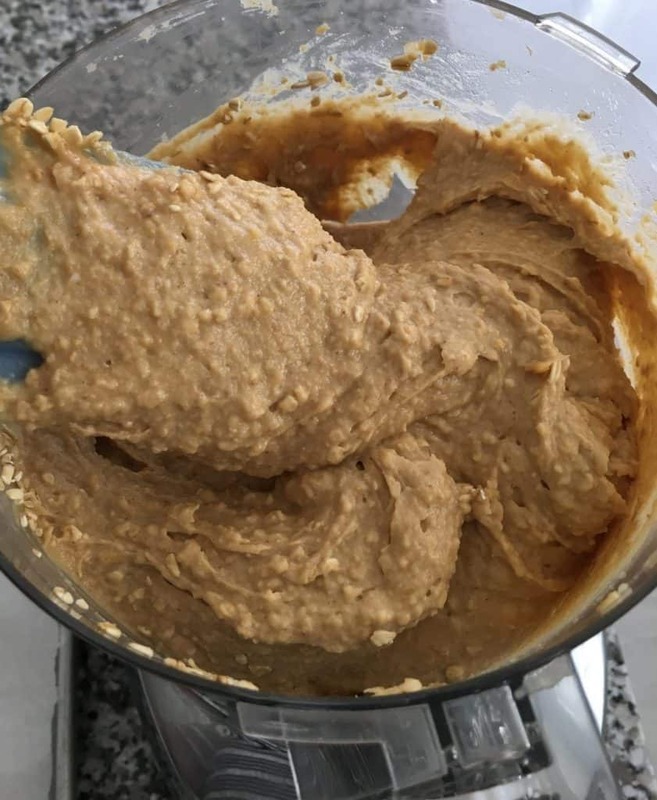 Use homemade peanut butter rather than store bought. YUMM! 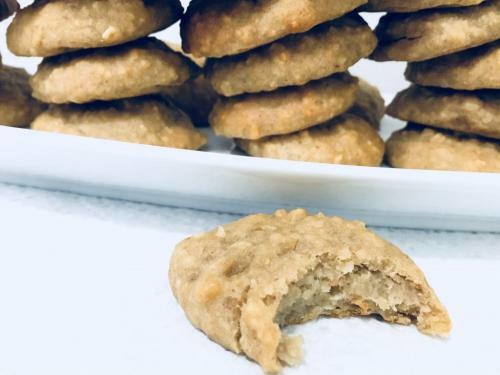 These healthy chickpea cookies make a perfect breakfast for you and your kiddos. They are loaded with protein and delicious peanut butter. Yum! Preheat oven to 350 degrees F and line a large baking tray with parchment paper. Add all the ingredients to your food processor and process until smooth. 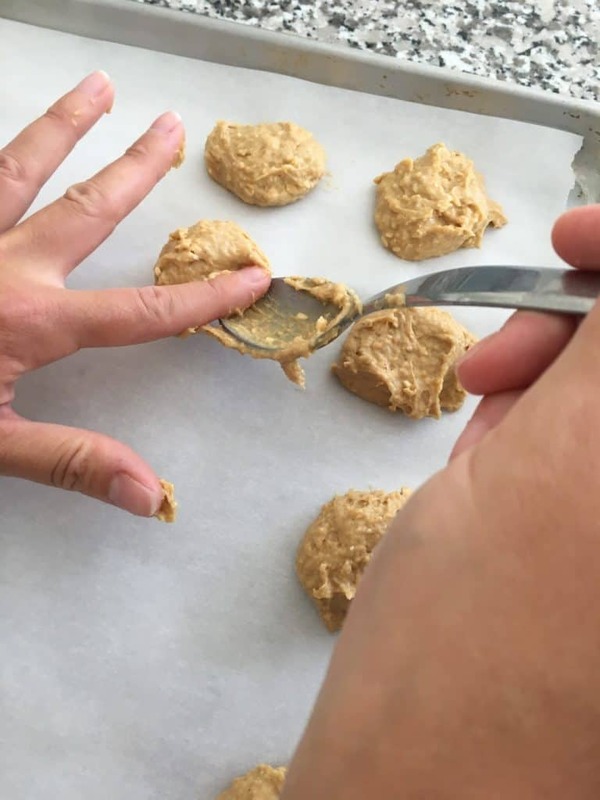 Using a metal teaspoon, scoop the mixture onto your prepared baking sheet and form your cookies. Bake for 18 minutes, or until lightly golden around the edges. Allow cookies to cool completely to help them firm up before serving. Next Next post: Not your boring salad! Loaded Salad with 14 Toppings! These are so good. My daughter loves them and thinks of them as such a treat! I love keeping them on hand in the freezer and taking them out when we need them.. and feeling guilt free about it! Thanks Rosa! You’re so welcome! So glad your daughter enjoys these. There’s nothing better than a guilt free treat! These are so easy to make and are so incredibly delicious! Thanks for sharing! Thanks so much, I’m so glad you enjoyed them!